Why You Should Ditch the Shoes and GO Barefoot! Home / Blog / Why You Should Ditch the Shoes and GO Barefoot! Did you know most people who consider themselves accomplished runners report getting injured once a year? Now that may not be all that surprising to you, runners log a lot of miles. But the more you look into it, the more this becomes an alarming statistic. Humans have evolved to cover great distances on our feet. One of the paths humans took to the top of the food chain is called persistence hunting. Persistence hunting is where you chase down prey until it collapses from overheating or exhaustion. Back in the day, it wasn't about speed, but stamina. In his book Born To Run, Christopher McDougall gives numerous accounts of some of the greatest runners currently on the planet. One account describes the near-legendary rural Mexican tribesmen known as the Tarahumara; whipping off their expensive sponsored shoes in a race exchanging them for twine-bound to a piece of old tire…and dominating the competition. So What Happened to Our Feet!? Well, to be blunt, shoes happened. Specifically, dress shoes with an elevated heel and pointed toes happened to our feet. 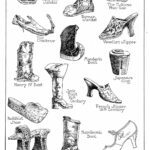 Dating as far back as the 1500’s we can see examples of pointy shoes with elevated heels. But that’s a short amount of time compared to the thousands of years we’ve been running with our bare feet. Why is an elevated shoe a problem? Simply put an elevated heel throws off our center of gravity. 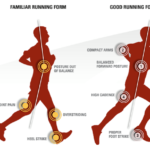 By throwing us forward the muscles in our calves along with our heel chords become shortened, leading to a running pattern known as heel striking. This is not something that can be fixed quickly, it requires patience and proper transitioning. Which is why shoe companies tried to offer a quick fix! Believe it or not, Nike’s first running shoe wasn't that bad of a design, it was relatively wide and flat. The problem was that as exercise got popular, specifically running and jogging, more and more people flocked to the tracks, the paths, and the 5ks. When you have a population of people used to shoes with an elevated heel grabbing a pair of flat Nike or Adidas and pounding the pavement, a problem arises: pain! It hurts to strike heel first with only a little bit of rubber to protect you. So running shoe manufacturers began addressing the problem by adding a cushioned heel to the running shoe. With this shoe, people could now heel strike without pain…or so they thought. First and foremost, It is simply not how our foot has evolved to function. Think of the ball of your foot as a shock absorber, and when the midfoot hits the ground it loads our arch with the force that helps propel us forward. By striking the ground with your heel first that force has nowhere to go but up. This affects the ankle, shin, knee, hip, and low back. And to make matters worse, heel striking just makes us slow. Since the invention of the common athletic shoe, it has been a competition among manufacturers to make the cushiest-air filled-foamy-boosted shoe of the future when all we needed was to save our money and kick the shoes off entirely. Vivobarefoot recently released a documentary explaining this exact problem that shoes created in the first place! Check it out here. Look a bit closer at the language used on shoe advertisements you see. You'll rarely see a running shoe company make a claim that wearing their shoes will improve your performance. Because if they did they would be required to support that claim with peer-reviewed data, which doesn't exist. All shoe manufacturers can do is talk about their new advanced technology that is perfect for one thing: weakening your feet. Your foot evolved over millennia, its an arch that gets stronger the more force you apply, mess with that design and you'll quickly see problems. Unlike orthotics, which further weaken your arch, transitioning to a minimalist shoe will force you to use your foot as it's intended, naturally strengthening it over time. By having less material between you and the ground, the vast amount of nerves in your feet will begin to wake up. Having a better connection to your feet will allow you to become more balanced and stable. Balance and stability are tremendous factors for reducing injuries as we age. 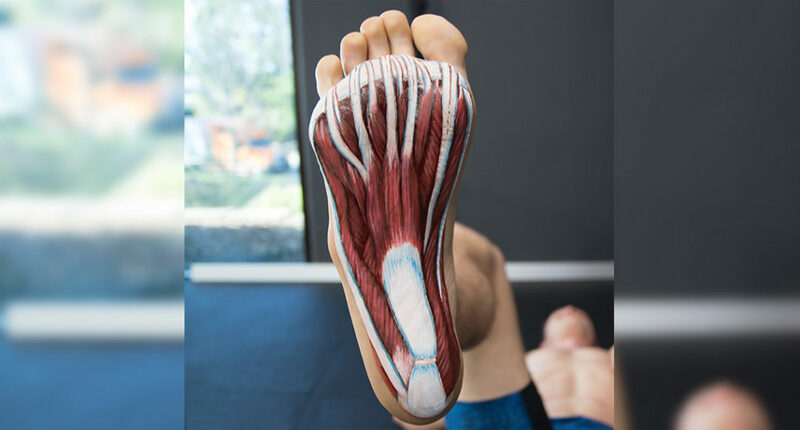 When you remove the heel lift your body will no longer have to fight the forward lean, over time this will relax the calf and low back muscles allowing for better posture and possibly pain relief. Barefoot shoes have been shown to eliminate plantar fasciitis, bunions, hammer/claw toes, heel spurs, and even chronic ingrown toenails. Having only a thin piece of rubber between you and the pavement will force you to shorten your stride. This is naturally how we are meant to run, over time you will gravitate towards what feels best which also happens to be the most efficient. Think about sucking your foot to the ground by pulling the balls of your foot towards the heel, thereby creating the arch. Lift your toes off the ground to ensure you're standing with your weight in your heels and not leaning forward. Pick things up with your feet, stand on one leg, claw the carpet or a towel on the floor to build foot strength! The longer you've been wearing normal shoes the more work this will take. But the body has evolved to adapt quickly. Think about how quickly your fingers get pruney in the water! The more you work on it, the better and faster the results will be. How Does Barefoot Running Help the Rest of my Body? Going barefoot is just one of the steps for reconnecting your feet with your mind, but there are 5 other major body parts you should learn to reconnect with. The MoveU program can help you learn to connect with your body to improve overall body awareness. To learn more about the MoveU Program, click here. Feel like you're ready to take control of your body? Sign up here! Have any questions for us? Contact us at info@moveu.com! Just wondering – where is your research seeing that your critiquing the shoe industry’s lack of research? The Shoespiricy video is linked in the blog. If you go to Shoespiracy.tv you can see the well over a dozen research articles.